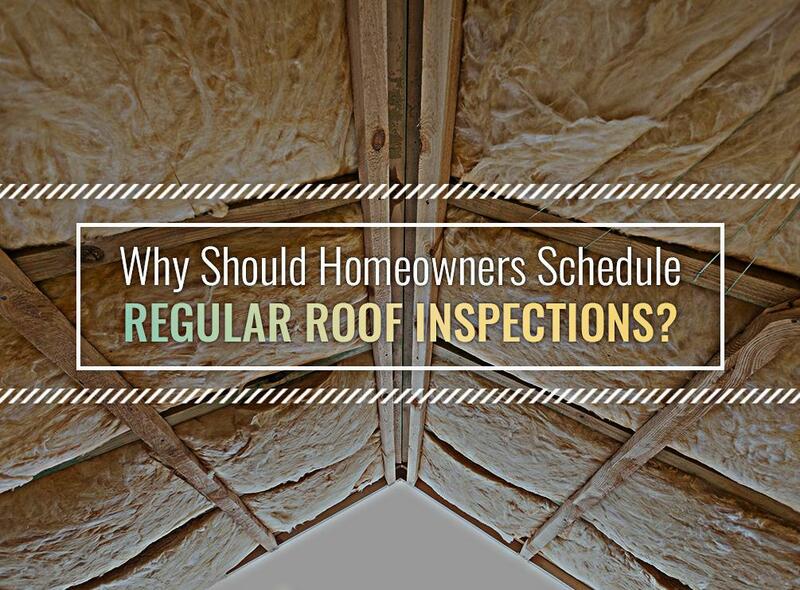 Why Should Homeowners Schedule Regular Roof Inspections? Home / Roofing / Why Should Homeowners Schedule Regular Roof Inspections? Why Are Roof Inspections Important? Regular roof inspections can help make your roof better in every way. Our inspections can make your roof look better, last longer, and protect your home more effectively. We will catch small problems before they turn into costly and damaging roof leaks, and our services will ensure that your roof will stay beautiful throughout the year. We can reverse the effects of wear and tear and prevent your roof from prematurely failing, making sure that you’ll get the most of your roof investment. In addition to scheduling regular inspections with us, you can also perform simple visual inspections so you stay updated about your roof’s condition. You just need a pair of binoculars to scan your roof for any problems. Be on the lookout for missing, cracked, or blown-off shingles along with loose or damaged flashings. You also need to check your gutter system for any clogs or shingle granules. If you see any of these problems, then you need to call a roofing expert like us as soon as possible. Why Should You Trust Innovative Roofing and Siding? You can trust Innovative Roofing and Siding because we are an experienced local roofing contractor with a great reputation. As a local company, we are knowledgeable about your area’s weather conditions and the typical challenges that your roof will face throughout the year. This means that we can easily pinpoint problem areas in your roofing system. Our great testimonials are also a sign that you can rely on us to do a great job. Your fellow homeowners have plenty of things to say about their experience with us. Our roof inspections, repairs, and maintenance can lengthen your roof’s life span, bolster its performance, and improve its appearance. Aside from roofing, Innovative Roofing and Siding can also help you with your gutters and siding. We have many years of experience and we have helped countless homeowners improve their homes. Innovative Roofing and Siding serves many communities including Maryville, TN. Call us at (865) 444-6070 to learn more about our roof inspections. You can also ask for a free estimate.